Packs a new graphics engine and custom character variations. Mortal Kombat 11 was announced in all it’s gory glory during The Game Awards 2018. Set to launch on April 23rd 2019, the latest entry of the iconic franchise will be heading to Nintendo Switch, PS4, Xbox One and PC. 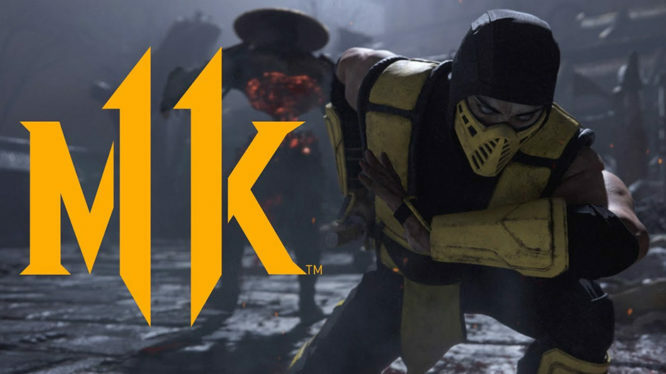 Developed by NetherRealm Studios, Mortal Kombat 11 will be making use of a new graphics engine “showcasing every skull-shattering, eye-popping moment” and will bring players “so close to the fight you can feel it”. The game will also include brand new custom character variations to allow players to tailor their fighter and make them their own. The announcement trailer, which focused on a cinematic battle between Raiden and Scorpion, also revealed that game would be receiving a closed beta in March 2019. Unfortunately, while beta access is a tempting pre-order bonus, access will only be available on PS4 and Xbox One. Leaving Switch and PC owners left waiting until launch day. Mortal Kombat 11 will launch on Nintendo Switch and other platforms on April 23rd 2019 and while beta access may be off the table for Switch users, Shao Kahn will still be available as a pre-order bonus.